VOA: Can you tell us about this trip of yours to Cambodia? 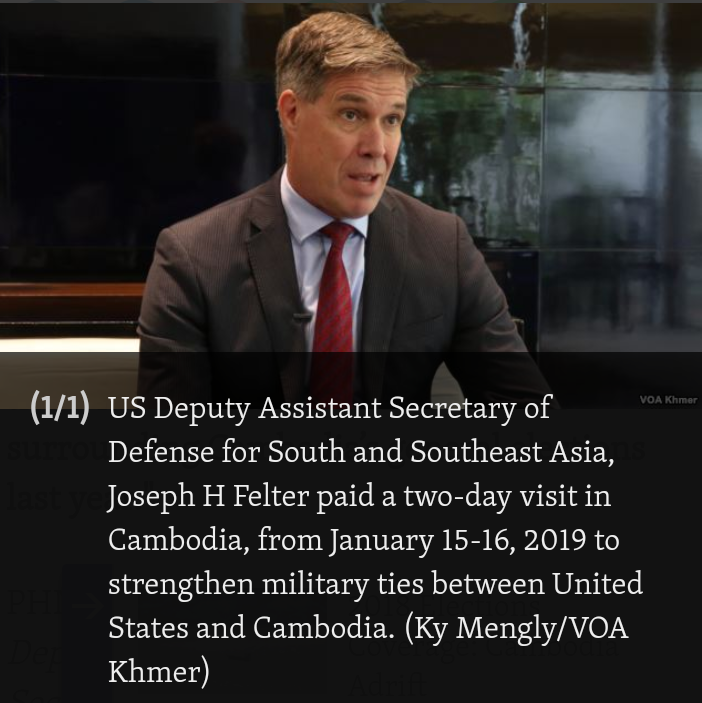 Felter: That was special because this is my first trip to Cambodia in this capacity as the Deputy Assistant Secretary of Defense for South and Southeast Asia. It was also the first time we had a senior-level defense talk in quite some time in Cambodia – defense dialogue which took place on Tuesday hosted by Gen. Neang Phat [Ministry of Defense secretary of state]. VOA: Who did you meet on the Cambodian side and what issues did you discuss? Felter: On Tuesday I met with Gen. Neang Phat. He was hosting with his senior members from his staff from the Ministry of Defense and the Cambodian military. Just today, we visited Ream Naval Base and met with Vice Admiral Ouk Seiha, commander of the base, and his staff. VOA: Can you tell us what issues you raised with Cambodian officials? Felter: Gen. Neang Phat is the secretary of state of the Ministry of National Defense. As part of the Defense Policy Dialogue, we discussed a range of issues like regional and international security, multilateral and bilateral cooperation. What I thought to be the most important part of our discussion on Tuesday with the Defense Policy Dialogue was mapping out a way forward to improve and enhance military-to-military cooperation between the United States and Cambodia to identify a way we can improve our defense ties and military cooperation. VOA: We have seen many joint activities have been canceled due to the political situation in Cambodia. Have you brought this into discussions with Cambodian officials to find ways to restart them? Felter: Yes, we have restarted on some levels. Encouragingly, Cambodia agreed to restart our POW/MIA [Prisoner of War/Missing in Action] cooperation and we find this very encouraging. Later this month we will have a joint on-field activity where we actually go out and do recovery operations of two missing pilots that we are searching for. So we find this very encouraging. Following this, we will be able to enhance our existing state partnership program. This is the partnership program with the Eisenhower National Guard that we will be sending many subject experts here to help the Cambodian military develop their peace-keeping skills. We know that Cambodia will participate in peace-keeping operations and missions around the world so we look forward to that. And there is a way forward beyond that. We will identify a number of activities that we can do to build on this military-to-military cooperation and enhance defense relationship. But to go down that path, we were clear in our discussion on Tuesday with Gen. Neang Phat that a number of things will have to happen on the Cambodian side that has to take initiative in areas of promoting national reconciliation, opening space for civil society and media. Some specific areas down that path include improving bilateral and multilateral exercises, restarting joint combined exchange training which we did in the past, the naval exercise CARAT (Cooperation Afloat Readiness and Training). Angkor Sentinel is another example. VOA: Your call for release the of Kem Sokha, the opposition leader, is met with a negative response from Cambodian officials. What do you think about that? Felter: That was one of the areas that we discussed in detail as part of promoting national reconciliation. I don’t want to go into too much detail. Yes, we are concerned. The charges against him were directly related to conspiring with the US. And they’re just false and I think that would be a nice gesture on Cambodia’s part to drop those charges and I think that would be one example of an area that would help us move down that path that I just described towards improving our military relationship and increasing military-to-military cooperation. VOA: If the charge is not dropped, will it affect military cooperation in the future? Felter: Yes. It does send a strong signal by Cambodia that they appreciate our concern. That is one example. There are many other areas that we hope Cambodia will make progress on. That was one particular area that we would appreciate progress on, and that would facilitate us restarting our mutual military relationship. VOA: Given the tension between Phnom Penh and Washington in the past few years, do you think it is difficult for the U.S. to improve defense ties with Cambodia? Felter: I think we have a shared vision with Cambodia for the Free and Open Indo-Pacific region. 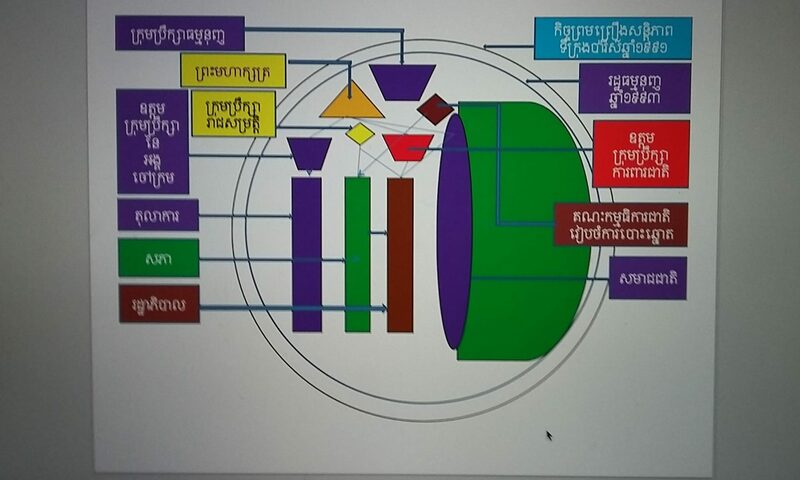 I think our vision is shared by Cambodia. We want Cambodia to be a strong, independent, and sovereign country. And we stand by them. Anyway, they might invite us to do so, to help them to maintain their sovereignty and build the capacity of the military. In the case that we were discussing, we would help them to protect their sovereignty. So this is encouraging. We have a shared vision in the future with Cambodia, and we are prepared to work with them to achieve that vision. VOA: But Prime Minister Hun Sen’s government officials said already that the United States had interfered in Cambodian politics and sovereignty? Felter: We respect Cambodia’s sovereignty. We respect them as a sovereign country that they make sovereign decisions, and we hope that continues. We hope no other nation can interfere in Cambodia’s sovereignty and influence them in terms of decisions. VOA: Why is the U.S. so concerned about the potential accommodation of any Chinese military base in Cambodia? Felter: I think it was from our Vice President [Mike Pence’s] letter that was sent to the Prime Minister [Hun Sen] expressing concerns should there be a foreign military presence or base in Cambodia. And the impact it would have on regional security and our relationship with Cambodia. Courageously, the Prime Minister responded strongly affirming his support for the Cambodian constitution that has prohibited a foreign military presence or base in the country. We find that encouraging. But [what] we do find concerning is [that] we look at the precedent across the region. So we are concerned that this may be the path that China may be leading Cambodia down so they may say ‘hey this is just going to be a joint base or this is just going to be a rotational presence or this is just going to be a facility for ships and commercial aircraft.’ We are concerned, based on the precedent across the region, that Cambodia might fall into the same trap other countries have been to and find themselves with a Chinese military presence or [China would] have access to ports and airfields so they can use them to project military power. We find that very concerning. VOA: What are the current challenges to U.S.-Cambodian defense ties? Felter: Well, encouragingly, we have a shared interest in building a military relationship and strengthening our bilateral ties. We have a long history of military cooperation. We visited Ream Naval Base today where we had a long history of cooperation of support for the Cambodian navy, for example. We were able to tour some of the facilities that the United States provided to Cambodia: the boathouse, hospitals, and classrooms for English-language training. But some of the challenges, I think we can get down that path if Cambodia can take some initiative to take some actions. Again, as I mentioned before, in the area of promoting society, promoting national reconciliation and creating space for civil society and media. I think we can strike down that path. I think it is in there. I think it is in our mutual interest to move down that path and build our military relationship. So we look forward to making progress. VOA: What do you see as the U.S. role in the security order here in this region? Felter: We have the National Defense Strategy now that has a view into the Indo-Pacific region that is the region of the Indian Ocean to the Pacific Ocean with the ASEAN countries, Cambodia included, being central to that Indo-Pacific. That’s ASEAN Centrality. But the US, in its National Defense Strategy, one of its main components is to strengthen the alliance, build partnerships, and help countries across the region build the capacity of their militaries so they can defend their own sovereignty. Our strategy is to help countries defend their own sovereignty. We want to work with partners and allies to help them defend their own sovereignty and make sure that no one country can dominate the region, no one country can undermine all countries — large or small — and no one country can undermine the sovereignty of any countries in the region. VOA: With an ongoing Chinese militarization of the artificial islands China occupies in the South China Sea, where the U.S. and its allies continue to exercise their Freedom of Navigation operations, do you expect any clashes there in the future? Felter: We are certainly not looking for any type of confrontation. Like many other countries, the U.S. is looking for and wants a constructive relationship with China. We will cooperate where our interests overlap. But we are going to compete where our interests diverge. Our interests do diverge in the South China Sea. China, as we all know, is militarizing claims in the South China Sea. It is making claims that have no basis in international law, trying to enforce claims that are just not legal. So the U.S. will continue to fly, sail, and operate wherever international laws allow. And importantly, you may recall an incident where China came very close to a collision at sea a couple of months ago with the USS Decatur. That concerned us. That was reckless behavior. Our response is that we are going to continue our Freedom of Navigation operation. 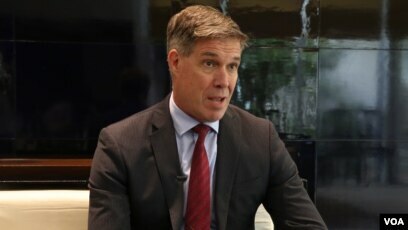 VOA: Some people say the United States is not a claimant state in the South China Sea and should not have a role to play in this maritime dispute. What do you think about that? Felter: All states benefit from keeping this region free and open. The United States is in a position to exercise those rights in international law. And as to all countries, we encourage them to exercise the same rights. It is part of our Indo-Pacific Strategy. We are going to continue to exercise those rights in international law and encourage those states to do the same. VOA: In a recent survey of some one thousand Southeast Asian academics, observers, and stakeholders, by Singapore’s ISEAS-Yusof Ishak Institute, some 61% of the respondents viewed the Indo-Pacific as an ‘unclear concept.’ What is your take on that? Felter: It is a new concept, it is a result of our national defense strategies that came out with the current administration. So we need to clarify. We have done a number of things to help clarify that. But it is actually very simple. It is not very hard to grasp. Our Indo-Pacific Strategy is the strategy that tries to ensure that we remain free and open and that all countries’ laws are protected by international law and that no one country is going to dominate this region. You look at all the Indo-Pacific Strategy, it is reflecting the strategies of Japan, Indonesia, and a number of other states that also have a vision for a Free and Open Indo-Pacific where all states are protected by international law. VOA: Given some uncertainties in Washington surrounding the partial shutdown of the federal government and recent leadership transition in the Pentagon with the exit of Former Secretary James Mattis, do you think these issues will pose difficulties for the implementation of the Indo-Pacific Strategy? Felter: No. Our interest is enduring in the Indo-Pacific region. Individuals and governments will come and go. I worked closely with Secretary [Jim] Mattis and he brought me into the Pentagon so I miss him. But with the current Acting Defense Secretary [Patrick] Shanahan, who studied under Secretary Mattis for a year and a half, there is going to be no change. Again, American interests are enduring. Our interest in this case is to keep the region free and open by working with our partners to do so. Note: This interview was edited for length and clarity.